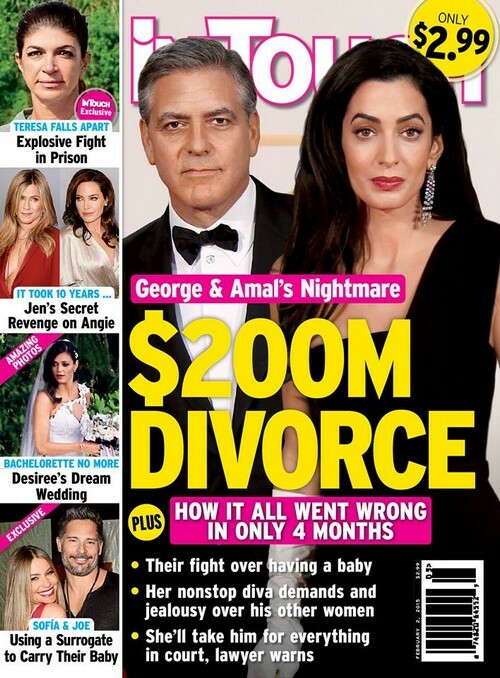 George Clooney and his new bride Amal Alamuddin are shown on this week’s cover of “In Touch Weekly” and the magazine reports that the duo are going through a $200 million divorce. Another source said that she has been “trying to control George’s every move” since they got married. BS BS BS. Maybe they should divorce, but we don’t think it’s going to happen anytime soon. What do you think?